The U.S. Men’s National Team, already facing the prospect of playing without starting goalie Tim Howard for the next few weeks, could be facing bigger issues as they face two important World Cup qualifying games. While the squad should be focusing on Friday night’s game against Costa Rica and next week’s game on the road against Mexico, they are instead reportedly losing faith in coach Jürgen Klinsmann’s lineup choices. Last month against Honduras, Klinsmann benched captain Carlos Bocanegra on the day of the game, a move that backfired as the inexperienced back four of Geoff Cameron, Omar Gonzalez, Fabian Johnson and Timmy Chandler had a rough day in the 2-1 loss in the opening game of their Hexagonal qualifying group. Klinsmann, who has fielded 24 different lineups in the 24 games he has been the coach, claims that disgruntled players are just par for the course. “These comments are just normal to me,” he told The Sporting News. “This team is in a transition. Between two World Cup cycles, faces change. We’re doing that, and you also kind of mix up the chemistry. There will be a new group of leaders coming through that process, and that will be responsible for molding everything together. The players are reportedly also upset the Klinsmann, a German, is showing favoritism to Jermaine Jones, Danny Williams, Fabian Johnson and Chandler – all German born children of American servicemen. Even though the U.S. went 9-2-3 in 2012 and finished at the top of its World Cup semifinal qualifying group, something has always seemed off under Klinsmann, who was brought in as coach in 2011 as a big-name replacement for Bob Bradley after the U.S. lost to Mexico in the Gold Cup final. The U.S. doesn’t seem to play with the same passion that we saw in the 2010 World Cup and they are now looking at the real possibility of having no points after the first three games of their 10-game qualifying round for the 2014 World Cup in Brazil. In addition to not having Howard for the next two games, the U.S. will also play without Landon Donovan (who has been on a self-imposed break since December) and Bocanegra (who Klinsmann left off the squad entirely). Injuries to several defenders also forced Klinsmann to call up Matt Besler and Tony Beltran, who have played in just a single national team game (a friendly against Canada). The team will have Clint Dempsey, who was named captain for the next two games, so they have that going for them, which is nice. 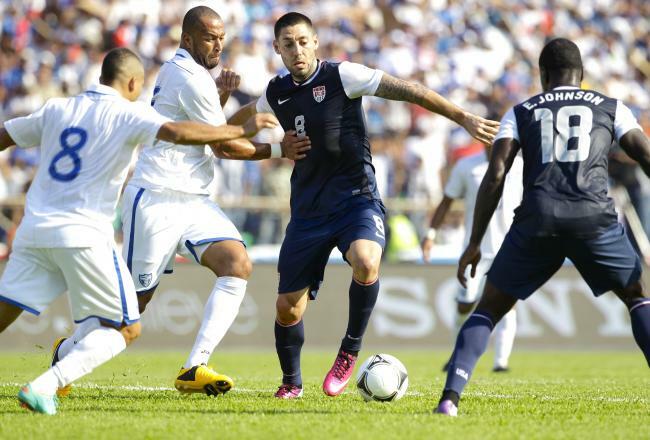 Dempsey has six goals in this World Cup qualifying cycle, but the team will need more than him in these games. Following the games against Costa Rica and Mexico, the schedule gets easier, as the U.S. won’t play another qualifying match until June, should have most of their top players back and will have four of their final seven matches at home. If Klinsmann and the U.S. can get through the next few months with a mixed bag of a lineup, the payoff may be worth it. The team has to start finding new blood as Donovan (31 years old with 144 international caps), Bocanegra (33 with 110 caps) and Howard (34 with 85 caps) are not getting any younger. The experience the younger players will get in this year’s qualifying matches will be good – as long as the U.S. can earn a spot in the World Cup. For his part, Klinsmann is confident enough in his talents as a coach and his players to believe the U.S. will be better off in the long run. The convincing starts Friday night in Denver.